Home / Announcements / Moonshine Post and Crafty Apes Made It to the News! Check us out on CBS46 or on the Dana Barrett Show! Woo! We finally made it on the radio! Chris LeDoux from Crafty Apes and our very own Drew Sawyer of Moonshine Post sat down with Dana Barrett to talk about working with out of state companies, making film locally, and also about the upcoming Atlanta Film Festival. 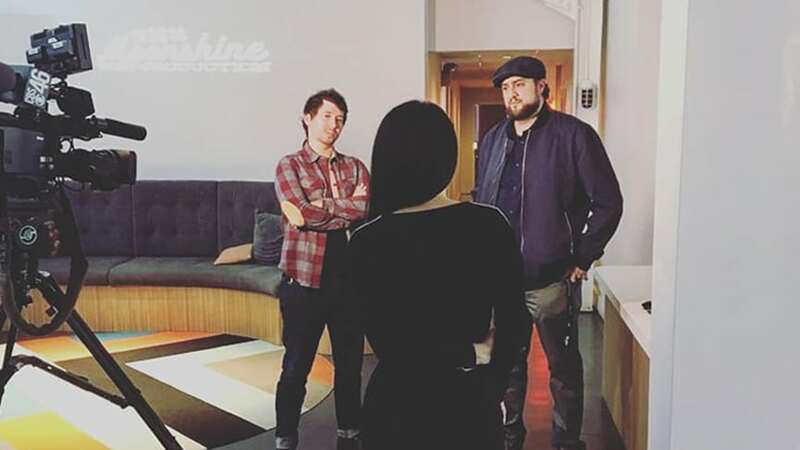 In addition to talking with Dana Barrett, Astrid Martinez from “Astrid in the ATL” was able to catch up with both Chris and Drew to discuss the blossoming Atlanta film scene taking Hollywood by storm just in time before the opening weekend of the Atlanta Film Festival. The segment with Astrid will be aired on CBS46 in the upcoming week. You can check out the interview on the Dana Barrett Show here.